I was lured to Kimble County by my fly fisher husband—his heart set on hooking the fabled Guadalupe bass and learning a trick or two at the annual Oktoberfisch fly-fishing festival. 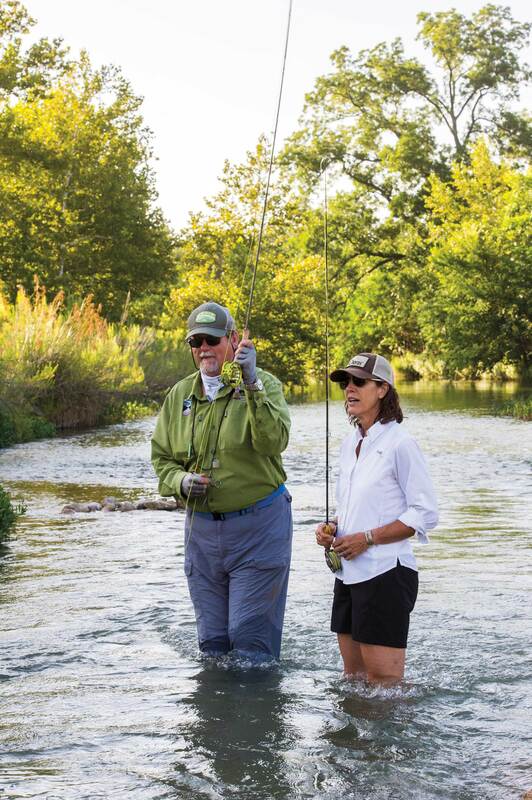 For three days every October, the Fredericksburg Fly Fishers invite first-timers and avid anglers to their event along the Llano River in Junction. The town—known as The Land of Living Waters, a nod to the county’s abundance of flowing waterways—sits where the North and South Llano rivers meet, so it’s a prime locale for such a fest. 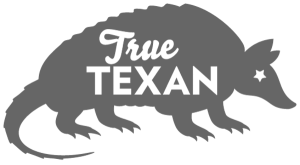 For visitor information, contact the Kimble County Chamber of Commerce at 402 Main St. Endemic to the Llano River and other clear, spring-fed rivers in Central Texas, the native Guadalupe bass was once on the brink of disappearing. In 1958, a forerunner of the Texas Parks and Wildlife Department stocked 6,500 nonnative smallmouth bass in the South Llano River to provide additional sportfish for anglers—and continued to stock smallmouth bass in the Blanco, Guadalupe, Medina, and San Gabriel rivers from 1974 until the 1980s. What they didn’t know was the smallmouth would eventually crossbreed with their Guadalupe bass cousins, threatening to wipe out the original species entirely. In an effort to restore the native population, the Texas Legislature named the Guadalupe bass the official state fish in 1989—clearing the way for TPWD to establish a wide-ranging conservation plan for the species in 1991. And after more than 25 years of work (and more than 2.3 million pure Guadalupe fingerlings stocked in Texas Hill Country rivers), today the data shows the native species is back and thriving. Gem as it may be, catching a Guadalupe bass doesn’t thrill me nearly as much as a full weekend to explore small-town Texas. After a few enjoyable hours on Kevin’s pontoon boat watching these two fly fishers strip in bass, I bid the pair adieu and set out to discover Junction on the fly. With a newly thriving population of Guadalupe bass, South Llano River State Park is a fly fisher’s paradise. The halfway point from Orange to El Paso on I-10, Junction is often just a pit stop to fill the tank and the stomach on the way from one end of the state to the other; when Texas increased the speed limit on this wide-open stretch of rural highway to 80 mph a little more than a decade ago, some town residents noticed a corresponding drop in tourism. Be that as it may, the remoteness only serves to make Junction that much more special for the travelers who do decide to pump the brakes and check in for a weekend getaway. Breathtaking views, fields of wildlife and blooming wildflowers, and winding roads surround Junction, making it a great home base for a scenic drive. State Loop 481 travels past Lover’s Leap, a picturesque overlook in the hills above town. FM 2169 West offers unbeatable views of the Llano River, while US 83 winds past ranches and fields of blooms. Five miles south of Junction on US 377, South Llano River State Park (1927 Park Road 73; 325-446-3994) sits on a two-mile stretch of the South Llano River—a prime locale to jump in for swimming, tubing, kayaking, and canoeing in addition to fly-fishing. And while it’s only natural for The Land of Living Waters to offer an abundance of water activities, the park also provides more than 18 miles of hiking and mountain bike trails. Keep your eyes open for birds small and large—wild turkeys call the park home year-round. 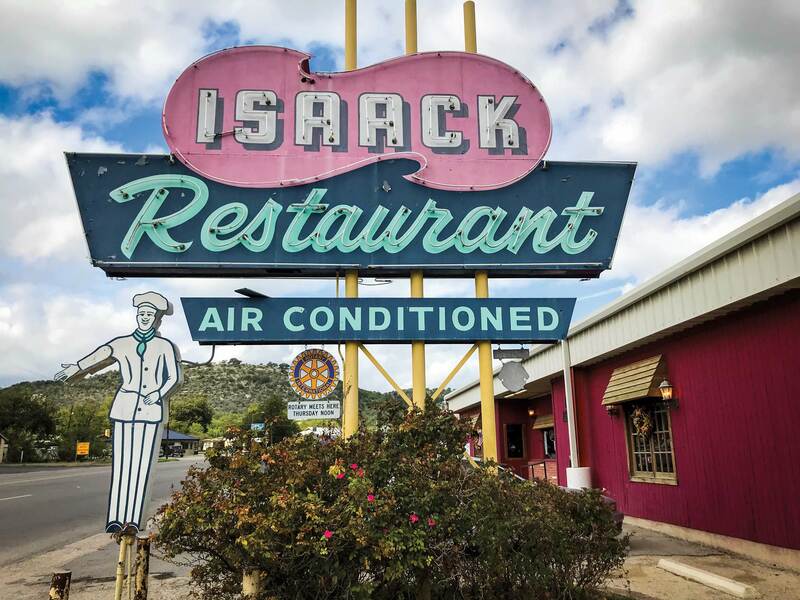 Since 1950, Isaack Restaurant has been serving crispy chicken-fried steak with a side of small-town hospitality to hungry travelers. 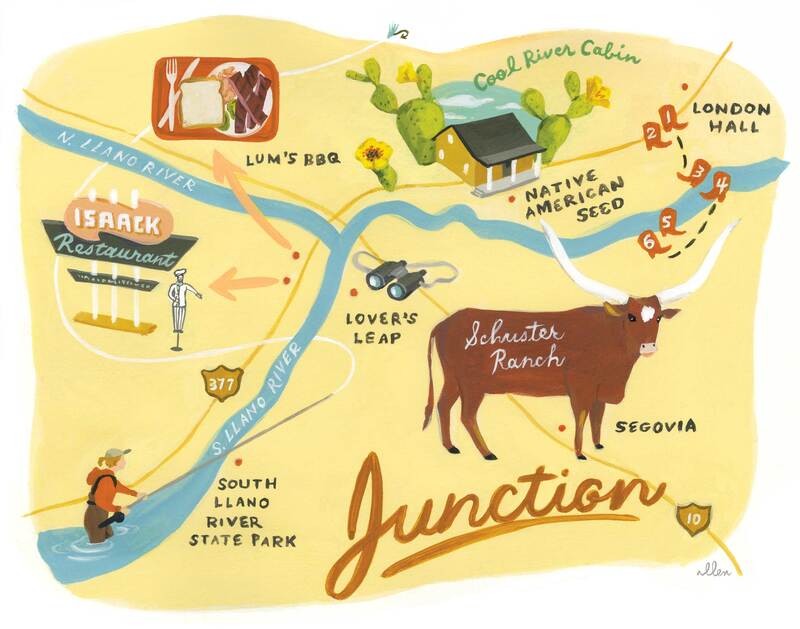 Junction has been a stop on the Texas barbecue trail for more than three decades thanks to Lum’s BBQ (2031 Main St.; 325-446-3541), family owned and operated since the Lumbley family opened the joint in 1976. And while the chopped brisket, pulled pork, and ribs are all key players in a satisfying dining experience, the usual barbecue fare is paired with unusual sides like “spicy spaghetti”—cooked with tomatoes, green onions, assorted peppers, and Italian dressing. Across Main Street, a vintage neon sign beckons hungry travelers to stop in at Isaack Restaurant (1601 Main St.; 325-446-2629). If you’re in a hurry, you may be better off at Lum’s or at one of Junction’s few fast-food establishments—like fly-fishing, patience is a virtue at small-town cafés like Isaack. But the chicken-fried steak is a reward worth waiting for, and the salad bar—housed in a clawfoot bathtub in the center of the restaurant—will help fill you up while you wait. 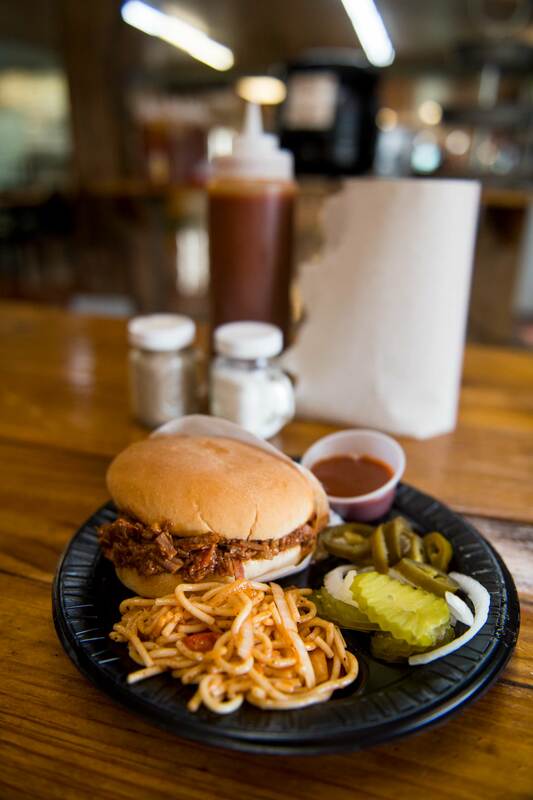 Pair chopped brisket sandwiches with unusual sides like spicy spaghetti at Lum’s BBQ, a staple on the Texas barbecue trail since 1976. Junction is the kind of town that slows down after sunset, which is just fine when the night sky offers an incredible view free from light pollution, and one of the oldest dance halls in Texas stands only 20 miles north on US 377, in the neighboring town of London. Almost every Saturday night, London Hall (17430 US 377; 325-475-2921) hosts country musicians that get crowds rootin’, scootin’, and two-steppin’ all night long. Folks in search of a quieter night out can get a guided look at the stars in South Llano River State Park. Last year, the International Dark-Sky Association named the park a gold-tier International Dark Sky Park—one of only four Texas parks to receive the designation. As long as the weather cooperates, visitors can discover the wonders of the galaxy at astronomer-guided star parties and with self-guided constellation tours. 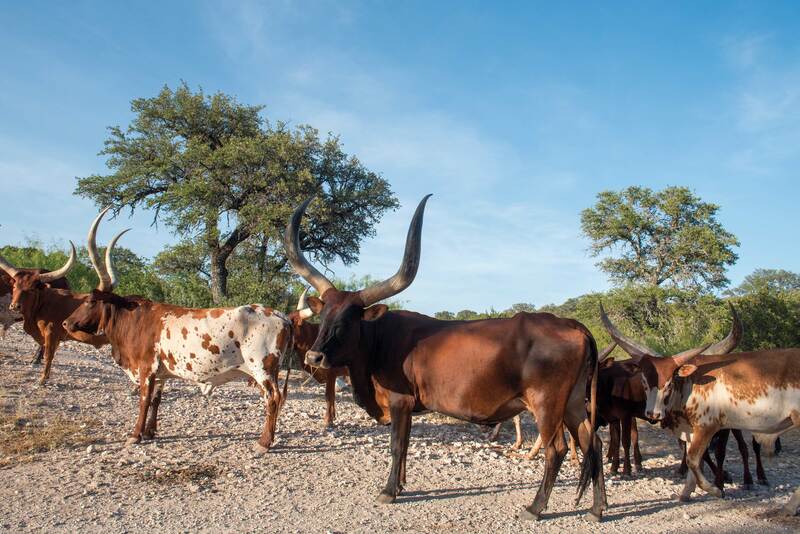 Schuster Ranch houses a herd of exotic Watusi cattle, who often free-range around the cabins. Schuster Ranch (432-978-7234), a family-owned ranch in nearby Segovia, was our home for the weekend. The spring-fed Sycamore Creek creates a riparian zone through the ranch, which provides a lush habitat for birds in a sea of pecan, live oak, sycamore, and walnut trees. In addition to wildlife like deer, turkeys, and hogs, the property houses a herd of exotic Watusi cattle, and in the mornings you can often watch them free-range on the grasses surrounding the cabins. The Schusters also rent two cabins in their commercial pecan orchard on the Llano River just outside of Junction on US 377, where they harvest Wichita, Western, and Cheyenne pecans from 1,900 trees every fall. If you time your visit just right, the grounds are an all-you-can eat buffet of crack-your-own pecans. Next door to the pecan farm, the Cool River Cabin—a private, two-bedroom retreat on the Native American Seed farm (3791 North US 377; 866-417-4837)—offers the same secluded river access, plus unparalleled views to a rainbow of native blooming wildflowers every spring.